The Bombay Stock Exchange (BSE) and NSE-listed Jammu and Kashmir Bank (J&K Bank) has posted net profit of Rs250.08 crore for the final quarter ended March 2013, up by 20.16% year-on-year (y-o-y) from Rs208.12 crore recorded for the corresponding period of the previous financial year. It also reported 24% y-o-y increase in net revenues for the quarter ended March 2013, from Rs1,479.81 crore to Rs1,835.71 crore. Operating profit rose 29% y-o-y, to Rs538 crore. 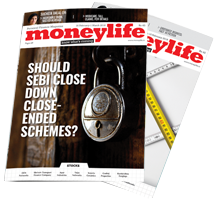 Earlier, Moneylife had covered the stock for the Street Beat section in the magazine (Issue dated: 13 December 2012). At that time, the stock was recommended at a price of Rs1,100 apiece. Currently the stock is quoting at Rs1,334.90 on the Bombay Stock Exchange (BSE). 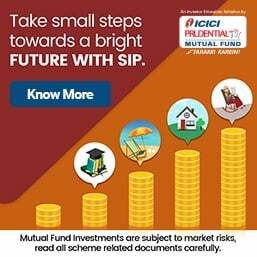 Despite the good fundamentals and a string of consistent numbers over the past few quarters, J&K Bank still remains surprisingly undervalued, with its market capitalisation quoting at just 3.07 times its operating profit while its return on networth and return on capital employed both remain respectably high at 21% and 37% respectively. Revenues recorded for the quarter ended March 2013, from treasury operations, corporate banking and retail banking stood at Rs576.88 crore, Rs690.12 crore and 707.13 crore respectively. For the same period last year, it was Rs413.91 crore, Rs587.75 crore and Rs690.54 crore. The total assets of the bank, as on March 2013, stood at Rs71,743 crore. J&K Bank has one of the best non-performing assets coverage ratios in the country, at 94.01%, when compared to the regulatory norm of 70%, as at March 2013. During the year 2012-13, the bank has opened 70 new units thereby increasing its network to 685 while 105 ATMs were commissioned, taking their number to 613. In its platinum jubilee year, the J&K Bank’s board of directors recommended special dividend of 500%, subject to the approval of shareholders at the ensuing Annual General Meeting. The discovery that Sunil Gupta, a director on the board of Canara Bank was related to former railway minister Pawan Kumar Bansal, has raised a justifiable furore. He made his entry on the board as a part-time government nominee and then just before the end of his three-year term, was elected as a shareholder director because of his closeness to Mr Bansal, who was then the minister of state for finance. The case clearly calls for a thorough appraisal of the system of appointment of directors on the boards of public sector banks (PSBs). Whether or not Sunil Gupta influenced the bank to get undeserved loans for Bansal’s companies is a separate issue, which is under investigation. It is well known that ever since the banks were nationalised in 1969, every government at the Centre has used its authority to appoint directors, many of whose claim to the position is no more than their political affiliation. Although there are broad guidelines regarding the qualifications of those who occupy these posts, they are interpreted with elasticity. Thus, for example, there is another part-time nominee director under the category of Chartered Accountant appointed on the Canara Bank board who does not have the minimum 15 years experience stipulated under clause 9 of the Bank Nationalisation Act. Neither the RBI nor the government, which was consulted on the matter, did elementary due diligence with regard to his background, because his candidature was sponsored by another big-time politician. This has not even attracted media attention. Many of these politically connected nominee directors routinely get a second term with a small gap of three to six months before the second term appointment comes through. In Sunil Gupta’s case, to avoid even this tiny gap, he was elected as a shareholder director immediately. Since the regulations permit a maximum of two terms, these influential, politically connected directors smoothly move over to another public sector bank as shareholder directors. Incidentally, the connections are not necessarily with politicians alone—powerful bureaucrats also get their personal chartered accountants appointed to bank boards with regularity. Consider this example. Shabeer Pasha, a two-term government nominee on Canara Bank’s board moved on to become a shareholder director on the board of Corporation Bank. The fact that he is the son in law of Rahaman Khan, a central minister could not be incidental. There are many such examples at almost every bank’s board. In contrast, the government appointed several professional directors on the Indian Bank board (then rated as one of three weak banks) in March 2001 to help its then chairperson, Ranjana Kumar in the arduous task of reviving the bank. It then had a negative net worth of nearly Rs5,000 crore. Once the bank came back achieved a financial turnaround, all these professional directors were given the marching orders at the end of a three-year term, without even reconstituting the board. Such is the capricious nature of political appointments. The government needs to re-visit the Cadbury Committee and other corporate governance reports and its own circular of February 2005 on the autonomy of banks which is packed with a number of progressive measures that remain on paper. In fact, the government as the owner of PSBs and the Reserve Bank as the regulator, must review the working of the Boards periodically, including the attendance and participation of nominee directors in the deliberations at board meetings. Today all the banks are publicly listed and they need increasing amounts of capital and long-term funds for their operations. Given the government’s budgetary constraints, resorting to fund raising from the capital market by banks is inevitable. The market is merciless in evaluating bank performance and corporate governance standards. If the government does not wake up to streamline entire system of appointment of Directors, all of us may have to repent in leisure. As a former statutory auditor of PSBs on the RBI panel who has interacted with Directors at Bank Board meetings I can confirm all has been written. The performance and participation of the so-called government nominated directors who manage 'to get elected' is absolutely dismal to say the least. They do not contribute anything worthwhile to the deliberations of the board. They always seen hobnobbing with the high honchos of the banks in promoting their own causes like getting some limits sanctioned or getting internal/revenue/stock audits for themselves by proxy or for their friends and relatives. We don't require Cadbury Report to select Directors. Both the RBI and CAG have full details of CAs on their panels with their past experience. The selection ought to restricted to those with appropriate experience not some Income or Sales Tax consultant who last conducted bank audit during his/her article days.No chacha/mamu/bhanjas! Why talk of repentance in leisure only? The appointment of Directors is at the will and pleasure of the influential politicians and bureaucrats and the considerations are very many better not to be spelt out.The fit and proper criteria based on qualifications, experience, specialized knowledge in the field of banking, accountancy, rural credit etc for appointment of Directors is only on paper and the contacts and connections are the real fit and criteria followed in practice is known to all in the banking system.Corporate Governance is introduced with lot of propaganda and it is practiced more in breach is an open secret.The way loans are sanctioned,accounts are restructured,and bad debts are written off is an established proof that directors on the Board and corporate Governance practices have no role to play in improving the functioning of banks. Banks suffer, economy suffers,depositors suffer,good borrowers suffer all because of lack of Corporate governance and the benefits are enjoyed by Nominee directors and bad borrowers. Some exceptions may be there but they will have their own stories to suppress and suffer.Ethics,honesty and integrity are unfortunately not available in the market and these have to be cultivated by practice,culture and commitment.The present atmosphere is certainly unsuitable for any one to even think of. Better to keep away and suffer all time not at leisure. In a recent interview given to a mainstream financial daily, RBI Deputy Governor Dr K C Chakrabarty lamented: ‘If bank boards are not capable, nothing much can be done’ If Dr Chakrabarty meant what he said (some are of the view that he was telling the obvious…), RBI and GOI should take responsibility and take immediate steps to put in place ‘boards which are capable’. And this applies to selection procedure to all top positions in government, statutory bodies and PSUs including Public Sector Banks. Perhaps political leadership also do some introspection. Was it necessary to make Dr Manmohan Singh to file RS nomination again? Was it so difficult to make him win a LS seat during these years which would have improved his confidence level? Another area which has never been discussed in open is the visit of Parliamentary Committees to Banks and other Public Sector Undertakings. An audit of these visits should be conducted to evaluate their usefulness. The cost of TA, stay in posh hotels and other hospitality is mind-boggling ! Cost is one aspect. A Performance Audit, factoring in attendance, participation/contribution, time spent on the actual assignment and content of the final report with reference to the deliberations the Committees/members had during visits and regular meetings will be 'revealing'. Independent directors are supposed to bring value to the board. The government has appointed people who bring no value to the bank and its something that is required. The director is happy being a director with no responsibility and all benefits! A very cozy arrangement indeed.These directors are politicians' favorites and have in most cases not contributed to the bank at all. Arvind Kejriwal led Aam Aadmi Party (AAP) on Wednesday alleged that soon after taking charge as law minister, Kapil Sibal has overturned his predecessor Ashwani Kumar's decision on Vodafone income tax (I-T) liability of Rs11,217 crore. In a statement, AAP raised questions on the haste in which law ministry within a day of Kapil Sibal taking charge gave its go-ahead for a conciliatory out-of-court settlement of over Rs11,000 crore tax dispute with Vodafone that marked a change in stance. Kejriwal also alleged a conflict of interest in this case as Kapil Sibal's son Amit is lawyer for Hutchison Telecommunication International, one of the main party in the case. Earlier, Ashwani Kumar had rejected finance minister P Chidambaram’s proposal for conciliation with Vodafone saying it as illegal. Even Attorney General GE Vahanvati advised against this compromise and insisted on Vodafone paying the tax, said AAP in the statement. Even if Sibal's son was not representing Hutch, still his actions would be improper and betrayal of the Oath he took to assume ministerial position. Please read following link for a comprehensive round up.